It’s been a crazy year for ticks. Everyone I know that lives on the east coast are talking about how many ticks they have already encountered. Dog owners especially have had to remove several from their pets, and it’s only spring! Kids love to get out and run through the tall grass, roll around on lawns, and climb trees, but parents are afraid they’ll get ticks, so what to do? I don’t like the idea of spraying my child everyday with poisons like DEET. I mean, I’m trying to protect them from ticks, but I don’t want to put toxic chemicals on their skin either. My family found a great all natural tick repellent formula using white vinegar and essential oil of peppermint. I also found a few tick removal tools for sale. 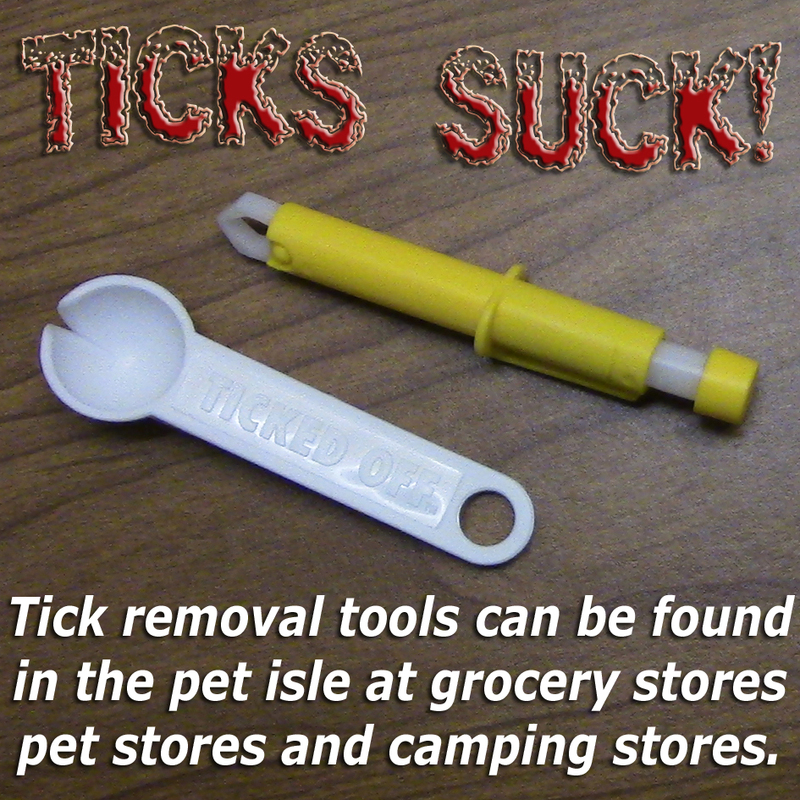 I found a spring action Coghlan’s Tick Remover claw tweezers in a camping store, and the spoon shaped Ticked Off tick removal tool I found in the pet isle at the grocery store. I got one for our pet, and one for our family. So far only the dog and I have picked up a tick. I was unlucky enough to have found a teeny weeny deer tick on my chest the morning after stacking up some fire wood. I had the tell tale bulls eye ring form around the bite, and I was sick with migraine and flu like symptoms for over a week. I zapped and got better. I made a short video about my tick experience to share with others what worked for me. I have read a lot of testimonials about people with Lyme Disease who zapped and found relief, so I was glad to have a Hulda Clark Zapper. I didn’t have a tick removal tool then, so it inspired me to buy several. Our regular tweezers really didn’t work well when I tried to remove my tick. I like the spoon shaped one that has a groove that slits the spoon down the middle, and suggest everyone to keep one on hand, just in case. I suggest if you are in an area known for having ticks, carry a tick removal tool with you because getting the tick out as soon as possible is very important. Getting the tick out intact is just as important, so the spoon tool does the trick applying even pressure lifting the tick up and away from the body. 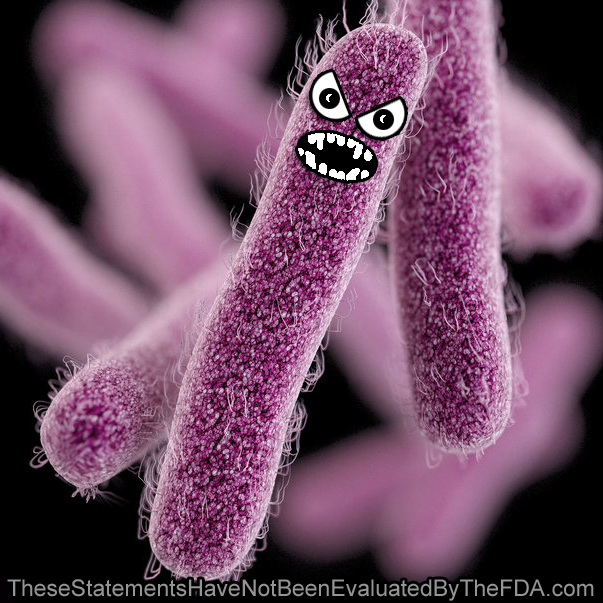 The idea of having such an evil parasite oozing deadly bacteria into our body really freaks me out. I’m a health nut, and I don’t want my child or family suffering needlessly. These tick removal tools are cheap, and the best insurance I could have on getting those suckers safely out of our life if we have the misfortune of finding them during our travels into the great outdoors. I hope to never need it, but if I do, I’ll be glad I have it. I just turned 50 years old end of May 2014. Lots of my friends have asked me how I stay looking so young. For one, I’m motivated by love. I want to love my wife, daughter, family, and friends for as long as I can. Because I want to live a long life expressing my love for these people, I do everything I can to extend my life. I take care of my mind, body, and soul by eating organic non-GMO foods. I do my best to avoid city water systems with chlorine and flouride. I like to get out for walks to breathe in fresh air. I like to get plenty of exercise by having fun instead of going to a gym. I’d rather chase kids around the yard than be inside a stuffy sweaty gym. I practice playing my guitar and making music with my family. We play together every Sunday in case we have forgotten to do so during the busy week. I also zap a lot, which I believe to be my personal secret of the universe. Turning 50 was a big deal for me. When I was a Junior in High School I had a big accident on one of those large 3 wheel motor bikes and smashed myself up pretty bad. I had three vertebral subluxations in my spine and had torn all the ligaments in my right arm. I spent nearly a year in a back brace to help me heal. The Osteopath doctor told me that the massive damage I had due to my spinal injury, I may never live to see my 50th birthday. Because of this scare, I found myself obsessed with health. I started out with my own form of rehab by carefully playing my drum set. Slowly I got my arm to work again, and my back to have movement. I saw a chiropractor for years every other day to help me stay in line. I learned to eat well, get plenty of rest, and to appreciate every day of my life as if it may be my last. My accident gave me perspective on how fragile life can be. I did a lot of reading then, since I couldn’t do much else. There is a bit of wisdom I learned from Benjamin Hoff and his book, The Tao Of Pooh: ’One disease, long life; no disease, short life.’ A weakness can do you a big favor, if you acknowledge it. By approaching all things in life so as to find the strength and benefit, one can always come out on top. Every situation has an advantage. Find the advantage and live life well. I see every problem as a chance to discover a solution. In this way I turn problems into a game and make it child’s play. (Add a little mischief, and it can even be fun). Try not to take things so seriously that it ruins your good time. Spend as much time doing the things you love in life, follow your heart, and be motivated by that love.